Land Over Sea, a Grade 2 winner of $746,500 sells for $1.3 Million. The extraordinary Bellamy Road has taken the fast track to success. 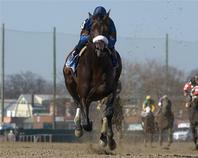 At the races, he was a dominating stakes winner at two, and a once-in-a-lifetime runner at three. In winning the Wood Memorial (G1) by 17+lengths, he sped the highest Beyer in history prior to the Kentucky Derby - 120. 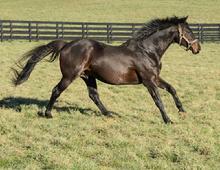 As a sire, Bellamy Road traveled right to the top. Sire of Wood Memorial (G1) winner Toby’s Corner ($928,240) from his first crop, six main track SWs in 2015, and 6 main track SWs already in 2016 he ranks among the top young stallions worldwide. 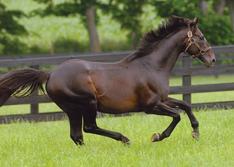 He already has well over 100 winners in 2016 and is, by far, the leading sire of winners in New York. 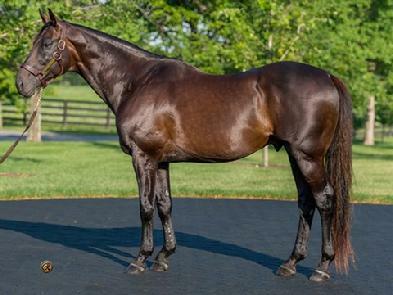 Keeping in mind that the majority of his foals run in open company, he is set to be the leading sire in New York for years to come as more of his offspring qualify for the New York breeders awards program.